Explore the Caribbean's crystal blue waters aboard our luxurious boat fleet. We provide day trips in the Dominican Republic to our Exclusive Private Beach on Catalina Island, fully catered for all sizes of parties. The Dominican Republic is a nation on the island of Hispaniola in the Caribbean. Located just east of Haiti, this island getaway is a wonderful place to relax. With tropical weather year round and very slight fluctuations in the rainy season, this is an ideal vacation spot. For sandy beaches, you cannot go wrong visiting Playa Boca Chica or Punta Cana and the Bávaro Beaches. The sandy shores range from golden yellows to pure white. Resorts abound along the Caribbean, and for visitors with a more active desire, kiteboarding, snorkeling, scuba diving, and even river rafting are popular sports. Explore ship wrecks, mysterious caverns, and elegant reefs that will astonish you. For anglers looking for popular sportfishing spots, take guided boat tours and catch trophy-sized dorado, wahoo, and yellowfin tuna, along with an assortment of sharks and snappers. If you are more interested in learning about the history and culture, visit Santo Dominigo, the capital and first Spanish settlement in the Dominican Republic. Walk or take a colonial train tour around the historic buildings of Santo Domingo. Or stop by the National Palace and see its regal beauty. There are historic parks to play and relax in. Even designer shopping is available. The Dominican Republic’s vivid history, relaxing resorts, and year-round tropical weather make it an ideal vacation spot. 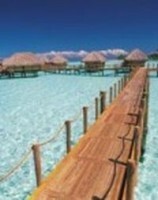 So pick your destination, and find a personal tour guide on Private Guides to make your island getaway unforgettable.